In between the Tanger Outlet Mall and Barefoot Landing sits the tiny town of Briarcliffe Acres. Most of this little city within-a-city is a gated home community, but one part of it includes a quiet, residential condominium complex known as Briarcliffe West. Briarcliffe West features individually owned, low-rise condos, a nice outdoor pool, and clubhouse for the residents. Plus, there’s a kiddie pool, picnic area, playground and full size tennis courts. Not only is Briarcliffe West an excellent location, close to the beach, shopping, dining, and entertainment but Briarcliff West is also a community with low taxes, HOA fees and insurance! The units are larger than most offering 2 and 3 bedroom units with spacious baths and private balconies. Briarcliff West condos are priced in the $75,000 range to the high $100,000 range, depending upon the size of the condo, its upgrades and the location. Briarcliffe West is the perfect alternative for those who want to live close to Highway 17, Barefoot Landing, Colonial Mall and the beach while enjoying privacy, a wooded setting, and year-round neighbors! 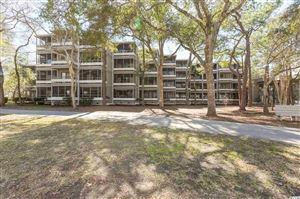 As the top selling real estate agency along the Grand Strand, RE/MAX Southern Shores agents can assist you with purchasing a condo at Briarcliffe West that is suited to your needs. RE/MAX Southern Shores’ reputation has been built upon unsurpassed customer service skills and long-term client relationships resulting in “clients for life.” RE/MAX Southern Shores agents focus on YOUR wants and needs related to the home buying/selling process. Contact RE/MAX Southern Shores at 843-839-0200 regarding any of the Briarcliffe West or Grand Strand MLS listings. One of our expert agents can assist you in the buying aspects of real estate transactions by providing you with detailed information for any listed real estate. Best of all, RE/MAX Southern Shores services are provided at NO COST to you as the buyer for any property listing in the MLS. If you have a request with specific criteria for your new home on the Grand Strand, use the search features found at this website or call RE/MAX Southern Shores today at 843-839-0200 to speak with an experienced agent about Briarcliffe West and your real estate dreams! The convenience you’re looking for, the location you’d love to have, the price you can afford….Briarcliffe West. 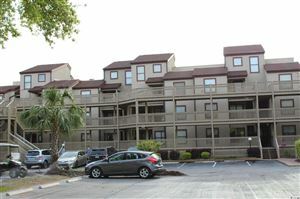 You can’t go wrong buying a condo that is walking distance to Myrtle Beach Mall, and minutes from shopping at Tanger Outlet PLUS easy access to Highways 22, 17 and 31. 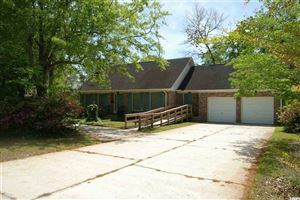 Briarcliffe West has acres of mature trees, large rooms, swimming pool on site, all appliances remain, including a full-size washer and dryer. Just a few minutes to the Ocean and Restaurant Row….this is Briarcliffe West and it could be your new condo, vacation spot or investment property!